The Orpington: William Cook established a poultry business in 1869 at St Mary Cray, a village near the town of Orpington in Kent. Here he bred various poultry, made hen houses, and stocked all the necessary appliances and equipment to sell to his main intended customers, the many thousands of domestic poultry keepers in London and the surrounding suburban towns. He launched his ‘Black Orpington’ in 1886, a breed he made from a mix of Black Minorca, Black Plymouth Rock, and Black Langshan. His first Black Orpingtons were relatively tight feathered, and looked like today’s Australorps. These were followed by White Orpingtons in 1889, made from a different mix of breeds, and which were also much tighter feathered, and with a longer tail than the White Orpingtons of today. The first Orpingtons, which looked more like the Orpingtons we find today, were made shortly afterwards, in the early 1890s, by Joseph Partington, a fancier in the north-west of England, at Lytham, Lancashire. He realised that most show judges tended to give top prizes to the biggest birds in a class, so he started to make a separate strain, initially by Black Cochin x Black Langshan matings, followed by selective breeding to get rid of the shank and foot feathering. His assessment of show judges was correct, and his birds were soon beating Cook’s strain around the shows, so other fanciers either bought birds from Partington, or made their own in a similar way. Although Cook complained about the way ’his’ breed had been changed by other people, he realised he couldn’t stop the popular trend, and when Partington died in 1901, Cook bought birds at the dispersal auction. Partington, and the other exhibitors and judges who supported the big, fluffy, but less productive type Orpingtons have often been criticised over the past century or so by poultry writers for ’ruining’ a previously good utility breed. While there is certainly some truth in this attitude, it ignores the economic and social realities affecting the UK poultry scene before things were forced to change by greater events in 1914. Before 1914 there was no real commercial poultry industry in the UK. Table bird and eating egg production was hard work for little profit. If any ’big money’ could be made at all in any activity concerning poultry, it was in, or connected to, the show halls. Show winners sold for potentially life changing sums, including the teams of Black Orpingtons sold by Joseph Partington the first few times he exhibited them, most going for £30 each. Remember, this was at a time when typical manual labourers earned about £1 per week in wages! This is why so many people bred exhibition poultry, that is, almost everyone who had a back garden or could rent an allotment (a council-owned garden plot). If they bred a show winner they could sell it for the equivalent of a few months’ wages, and in the meantime, they could still sell any bird bred, which was not good enough to show or sell as potential breeding stock, for at least ’layer prices’. 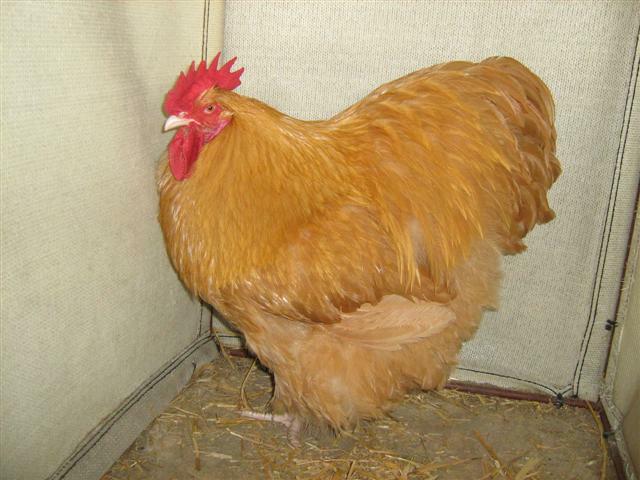 Cook’s next variety was the Buff Orpington, made from crosses of Buff Cochins with other breeds. They quickly became popular, and any similar looking chickens were hastily renamed as a ’Buff Orpington’, and offered for sale at double the previous price, including the entire population of an older localised breed, the Lincolnshire Buff, which effectively went extinct within a few months. Two more colour varieties of Orpingtons were made in William Cook’s lifetime: Jubilee Orpingtons in 1897 and Spangled Orpingtons in 1899. Both went extinct during the 1920s and ’30s, but have been remade since the 1960s. William Cook died in 1904, when only 55 years old. There had been family arguments, which resulted in several separate businesses being established after his death. Cook’s eldest daughter, Elizabeth Jane Cook, inherited the original company at St Mary Cray, which she continued to run under the name ’W. Cook & Sons’ until she closed it down in 1934, apparently being unable or unwilling to adapt to the then rapidly changing poultry industry. Cook’s eldest son, William Henry, had established (before the family arguments) a branch of the family business at Scotch Plains, New Jersey, in America, which was later run by youngest son Percy Cook, after he had been in the Royal Navy for some years. William Henry Cook returned to the UK, and set up a separate business at Tubbenden Lane, Orpington, which lasted until about 1948. The second son, Albert Loxley Cook set up and managed a South African branch, with a sales office at Marshall Square West, Johannesburg, and farms at Syferfontein, near Johannesburg, and Stamford Hill, Durban, Natal. Cook’s younger daughter (name not found) married Arthur C. Gilbert, who had a poultry farm at Wilmington, fairly near St Mary Cray and Orpington. Arthur seems to have remained on friendly terms with all members of the otherwise feuding Cook family. The other two significant varieties of Orpingtons were the Blue and the Cuckoo, both of which were initially made by Arthur Gilbert and launched in 1907. Orpington bantams were not very good, or very popular until after about 1950, although there had been much earlier attempts, those known being Buffs by John Wharton shown at Carlisle in the north of England in 1899, and Blacks and Whites, shown by Emil Khn at Leipzig, Germany, in 1912. 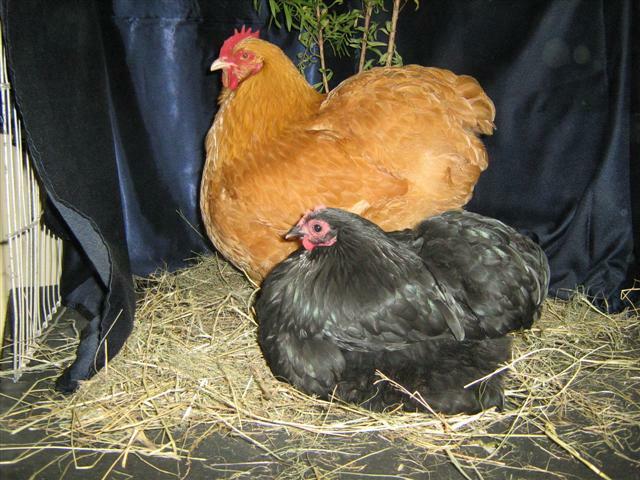 In the modern era, the correct size of Orpington bantams has often been a controversial topic, with different opinions existing regarding the best compromise between birds both type enough to be an ‘Orpington’ and small enough to be a ’Bantam’.